Are you afraid of deportation? If you are a foreign national involved in the beginning stages of removal proceedings, the deportation attorney at Hykel Law in Philadelphia can help prevent this unfortunate situation. We can evaluate your immigration case and find the best strategy to defend you from removal proceedings to help you stay in the United States. The removal process (renamed from “deportation” in 1997 legislative amendments) is used by U.S. government officials to remove persons from the country who are not in lawful status. The process is also used to take away lawful permanent resident status from persons who have been convicted or plead guilty to certain crimes. 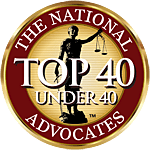 You do have rights, and that is why having a lawyer who is familiar with the immigration laws, the judges and the court can greatly maximize your chances of remaining in the United States. A notice to appear in front of an immigration judge? An unexpected visit from ICE – aka: Immigration and Customs Enforcement? A criminal conviction, whether misdemeanor or felony? A notice of imminent criminal investigation? If so, give Hykel Law a call. Our immigration attorney is experienced in the matters of deportation and removal defense. 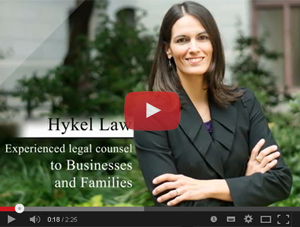 Renee Hykel Cuddy will pursue your immigration to the fullest extent on your behalf. AVOID DEPORTATION BY HIRING EXCEPTIONAL LEGAL COUNSEL.